Word Up! 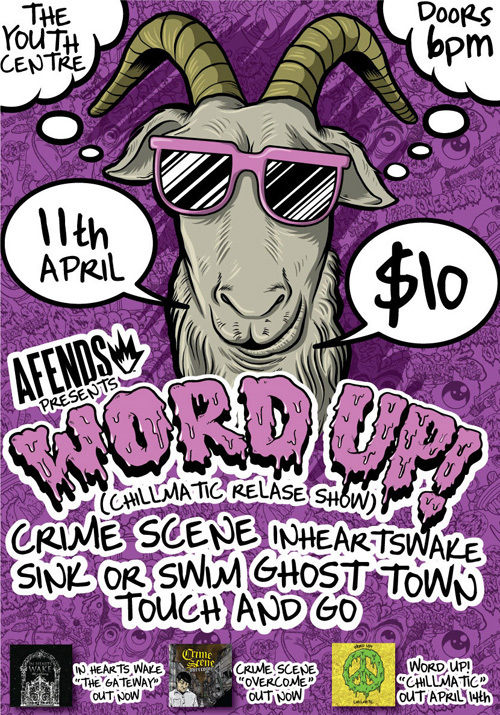 has a CD release show for their new album “Chillmatic” at Byron Youth Activity Centre. Presented by Afends. 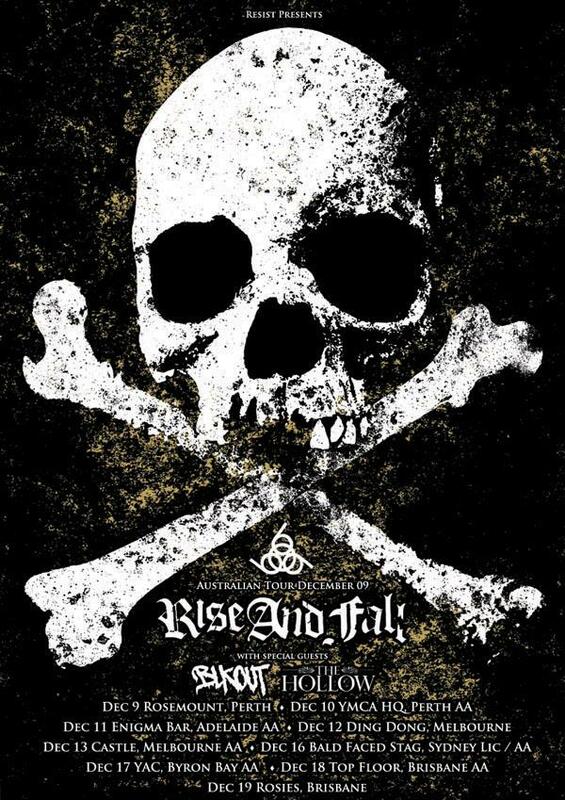 Tags: Crime Scene, Ghost Town, In Hearts Wake, Sink or Swim, Touch & Go!, Word Up! 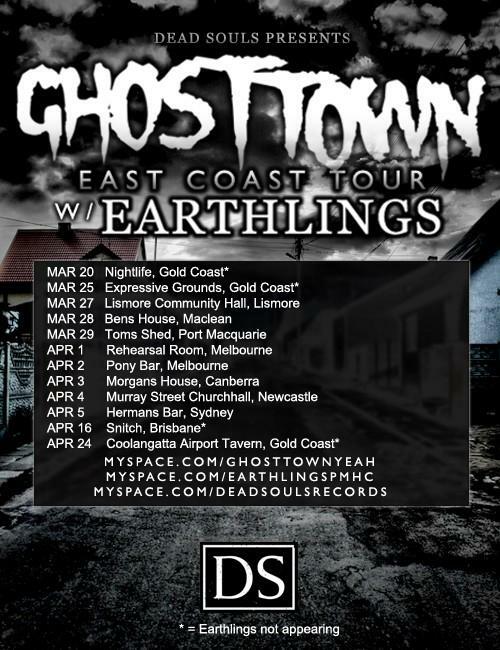 Ghost Town and Earthlings are doing a massive tour along the coast. Presented by Dead Souls.